"Once there was a tree...and she loved a little boy." So begins a story of unforgettable perception, beautifully written and illustrated by the gifted and versatile Shel Silverstein. Every day the boy would come to the tree to eat her apples, swing from her branches, or slide down her trunk...and the tree was happy. But as the boy grew older he began to want more from the tr "Once there was a tree...and she loved a little boy." So begins a story of unforgettable perception, beautifully written and illustrated by the gifted and versatile Shel Silverstein. 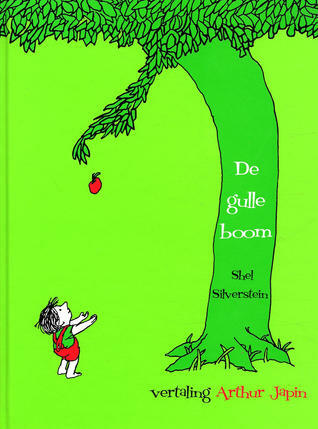 Every day the boy would come to the tree to eat her apples, swing from her branches, or slide down her trunk...and the tree was happy. But as the boy grew older he began to want more from the tree, and the tree gave and gave and gave. This is a tender story, touched with sadness, aglow with consolation. Shel Silverstein has created a moving parable for readers of all ages that offers an affecting interpretation of the gift of giving and a serene acceptance of another's capacity to love in return.